We sadly come to the last in this series of European Vacation with Raymond Capaldi - the final destination is Scandinavia which explains why Abba is playing during dinner. 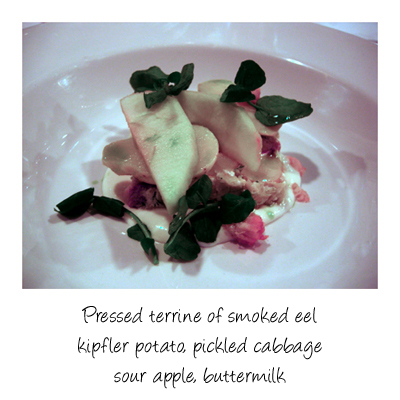 As with the previous dinners there are some options - in this case the first is a Tribute to Noma. 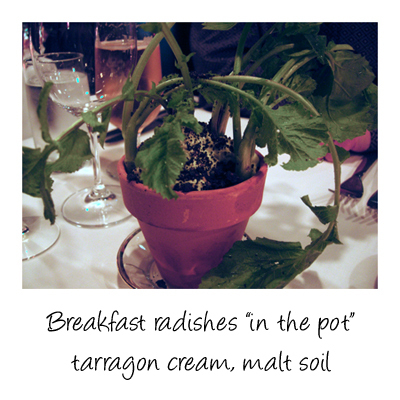 The whole pot was generously filled with a delicate and fluffy tarragon cream topped with a crunchy malt soil, into which spankingly fresh radishes had been planted. What surprised me is that most people just ate the radish and left the tops behind. 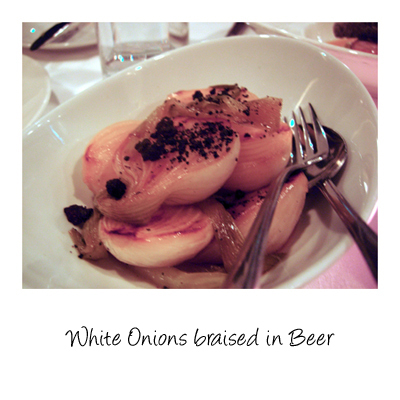 A delicate and refined offering - it teases you with the aroma of smoked eel and then charms you with it's light touch. 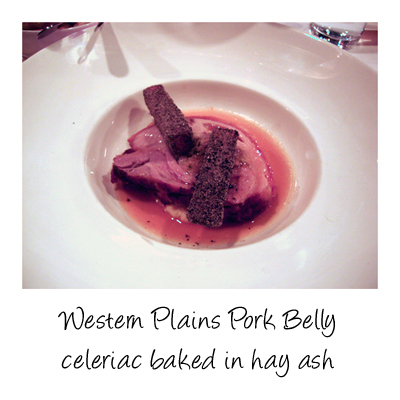 The belly is rolled and stuffed with a sausage like farce, the skin a good blend of crunch and caramel like chewiness. Those celeriac sticks coated in hay ash are a real taste sensation. 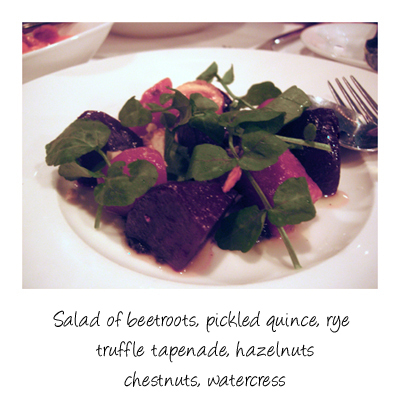 A stand out salad where each mouthful offers a new combination of flavours. 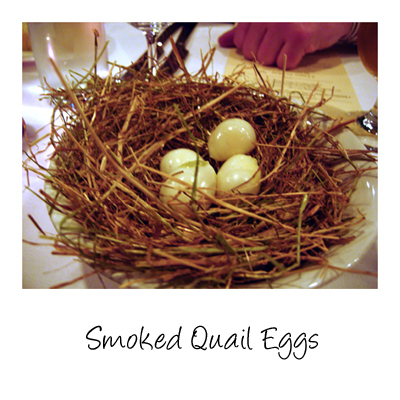 A salute to Rene Redzepi of Noma for putting Nordic food on the world stage. A dessert that isn't obvious and probably did stretch some people but for myself, I really did enjoy it. 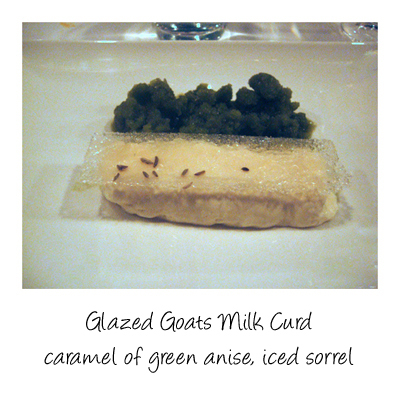 I think the key that bound the goat milk curd and iced sorrel was that thin, translucent sheet of anise caramel. It give you an initial crunch which then became chewy, which in turn released a refreshing anise flavour that cleansed your palate. To finish off both an amazing month of dinners and to celebrate a rather stunning celebration of Scandinavian cusine, it's fitting that we end with Aquavit. If you managed to attend all of the dinners I think you'd agree, we've experienced something quite special. 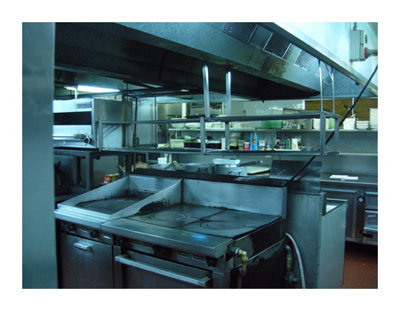 No meal is really complete without a peek into the kitchen where all the hard work is done. Unfortunately we missed out on the first three experiences, but we managed to make it to the fourth one - and we loved it. My husband wasn't quite sure what to expect with a Scandanavian theme but he left impressed. 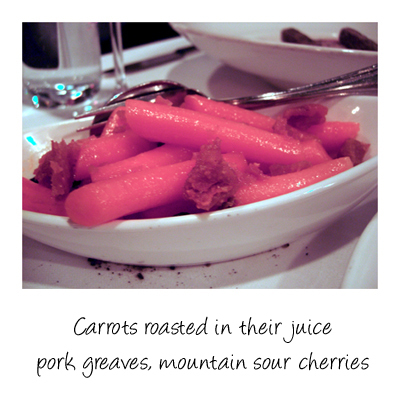 His favourite dishes were the dessert and pork, whilst mine were the turnips and a tie between the dessert and beetroot salad. 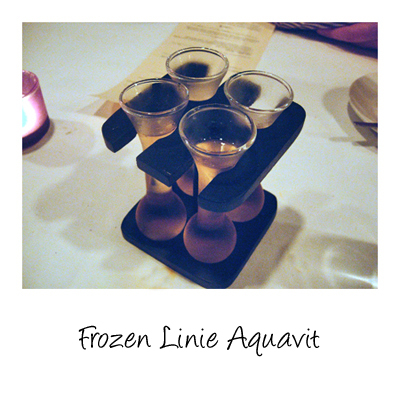 What did you think of the aquavit, my husband tried it and found it quite strong (in a good way though). Any idea of what Raymond Capaldi will be doing next? awesome news - I will keep an eye out for future matteo nights and also your new venture as I never got to see you at Fenix :(. Yes, we did see Terry on Tuesday and we will be seeing him at Persimmon this Sunday (we originally went last year as we heard you had designed the menu and we kept going because we love the food (and we have also managed to take almost every member of our family there). Looking forward to tasting more of your creations in the future.